Born in 1965 in Duisburg, Germany, Frank Peter Zimmermann started playing the violin when he was 5 years old, giving his first concert with orchestra at the age of 10. His teachers include Valery Gradov, Saschko Gawriloff, and Herman Krebbers. Recognized as one of the foremost violinists of our time, Frank Peter Zimmermann has appeared with all major orchestras in the world. He has collaborated with the most renowned conductors internationally, including Mariss Jansons, Bernard Haitink, Daniel Barenboim, Christoph von Dohnanyi, Daniel Harding, Christoph Eschenbach, and Jukka-Pekka Saraste. In addition to his acclaimed performances of the Classical and Romantic repertoire, Frank Peter Zimmermann has been a prolific champion of the music of the 20th and 21st centuries. He has premiered several new violin concertos, including en sourdine by Matthias Pintscher with the Berlin Philharmonic Orchestra under Peter Eötvös in 2003. 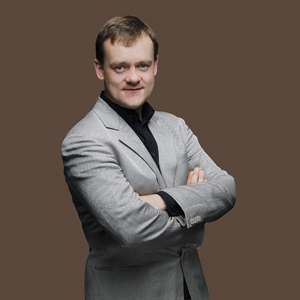 An avid chamber musician and recitalist, Frank Peter Zimmermann regularly performs with pianists Piotr Anderzewski, Enrico Pace, and Emanuel Ax. Together with violist Antoine Tamestit and cellist Christian Poltéra he forms the Trio Zimmermann who have toured internationally. Frank Peter Zimmermann has made prize-winning recordings for several major labels. Among his awards are the Rheinischer Kulturpreis 1994 and the Duisburg City Music Prize 2002. In 2008 he was decorated with the Cross of Merit, First class, of the Federal Republic of Germany. Frank Peter Zimmermann plays a Stradivarius of 1711, which once belonged to Fritz Kreisler and is kindly sponsored by the WestLB AG.